These versions differ in hardware configuration, instrument control, options and data post-processing. All configuration levels provide essential chromatographic data processing such as manual and automatic reintegration, external and internal one and multipoint calibration, different report formats, export of the results and the chromatograms etc. All versions (except ChromStar Integrator) are able to control instruments such as pumps, detectors or autosamplers. ChromStar Full Version and ChromStar DAD are available with up to 4 channels, ChromStar light with 2 channels, ChromStar Integrator only with 1 or two channels. 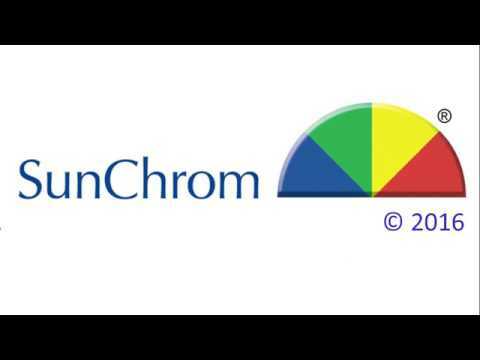 ChromStar has been presented by Bruker-Franzen as one of the first chromatography data systems based on Windows. Since 1994 our co-operation partner SCPA maintain ChromStar and keep it on the highest technological level to hold it as an example in performance and easy operation. ChromStar has become today a software with an up-to-date conception and it has been developed in Visual C++. It can be used with the desktops Windows 95/98, Windows NT, Windows 2000 and Windows XP. ChromStar is the first software that covers the span between great flexibility and easy learning. It is also extremely easy to find one’s way again after a long period of “abstinence”. A manual reintegration succeeds immediately even after months of interruption. The flexibility of ChromStar enables to resolve easily all tasks of the gas and liquid chromatography in agreement with the GLP guidelines. The DAD option allows the control of a diode array detector and the acquisition of a two-dimensional chromatograms. Additional algorithms are available for special techniques (e.g. thin layer chromatography and gel permeation chromatography). Various additional features can assume tasks like validations or post-run calculations from chromatogram series and much more. Your are only a small step far from comfortable, automated data processing. The A/D converter boards are designed as PC plug-in modules so that the ChromStar data system can be completely built in only one PC without any further external components. Up to 4 independent data acquisition channels can be installed in one single computer. Via a bus-oriented control interface system, designed exclusively for ChromStar, a multitude of chromatographic instruments and individual modules from other manufacturers can be controlled without the need of taking care of their special properties. Integrating converters with a resolution corresponding to 30 bits guarantee the acquisition of chromatograms with highest precision. Raw data are saved in regular intervals avoiding data loss due to computer crash or power failure. There is no special request to your PC. The required memory is only depending on the operating system. An average chromatogram occupies approx. 100 kB hard disk memory. Since ChromStar is installed as Windows application, you can use all advantages of computer networks without any restriction. The report editor enables you to create printer reports acc. to your own needs. By selecting objects like chromatogram, results list, parameters for data acquisition and data analysis, date, sample name, graphics, external files etc., the user can define individual templates. On the basis of these data ChromStar generates the printer report whereas the parameter values are automatically included. Number of pre-defined templates are available for all levels. These can be simply modified or adapted too. Since it is possible to run simultaneously several programmes under Windows, you can work with ChromStar as an integration tool from other programs using DDE data transfer. With simple programs you can perform sample preparations or sample injection and, at a predefined time, ChromStar sets up a chromatogram without any help from the user. This technique enabled to develop fully automatic method optimisation software “Summit” or other software for fully automatic chromatographic process control. Technique 2 S/D signal conditioning converter per channel for the measuring ranges +100 mV and -1,3 up to +10,0 Volt. The range switching is controlled automatically. To avoid discontinuities both ranges are permanently calibrated to each other.